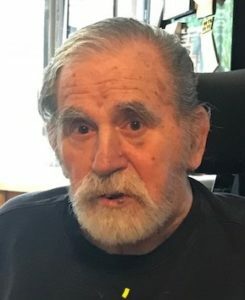 Peter Matthew Fasolino, age 91, of Bellevue, Washington passed away peacefully on January 1, 2019. He was born on June 29, 1927 to Alfred and Mary Fasolino in Manhattan, New York. Peter, also known as Pete, was raised in Brooklyn and Rockville Centre, NY. He later moved with his wife to North Bellmore, NY where he raised his family and on to Scottsdale, Arizona in 1971 where he lived for 15 years. In 1987, he and his wife, Barbara, followed their daughter and son-in-law to Bellevue, WA, so they could be part of their future grandkids’ lives. They lived four blocks away from their daughter and there was hardly a day where they didn’t see their two grandkids. He played a major role in their lives and adored them. Peter joined the Navy in World War II and later became a Draftsman by trade. He loved tinkering around the house doing simple repairs and updating. There wasn’t much he couldn’t do or fix, and he was a perfectionist at it. Back in 1976, he designed and as a general contractor built a beautiful home in Paradise Valley, AZ. He loved softball and played on the Senior softball team for years and was an avid pickleball player. He was very proud of his Italian Heritage and was a member of Sons of Italy. His favorite food was Italian, of course. Peter is survived by his daughter, Sue F. Bryant and husband, David Rogers of Bellevue, WA; his son, Peter D. Fasolino of Brooklyn, NY; his grandchildren, Kieffer Bryant of Bellevue and Kalise Sampson of Kirkland, WA; his brother, Jack Fasolino and sister-in-law, Nancy of Scottsdale, AZ along with nieces, a nephew, and grand nephews/niece. Pete and Barbara were lighthouses for all of the family. We still feel their glow.